The Razer Nari family of headsets has been officially unveiled. There’ll be three different models to choose from, with the flagship Ultimate packing ‘intelligent haptics feedback’ developed by leading German tech company Lofelt. Lofelt is committed to raising the standard for haptic feedback to match the high-quality audio and video we’re used to in today’s devices. Teaming up with Razer is an incredible opportunity for us to demonstrate the value of the cutting-edge technology we developed. I’m thrilled we are at the forefront of realizing the true potential of advanced haptics and can’t wait for gamers to level up their gameplay with the Razer Nari Ultimate featuring haptics by Lofelt. Razer consistently creates products with innovative technology to give gamers the best gaming experience possible. With the Razer Nari Ultimate, we are championing a whole new way for gamers to feel their games through Razer HyperSense. Of course, Razer Hypersense is only one of the features you’ll find in the Razer Nari Ultimate, priced at $199.99. The Razer Nari, on the other hand, foregoes the HyperSense technology but keeps everything else for a price of $149.99; the Razer Nari Essential, priced at $99.99, also lacks the cooling gel-infused cushions. We’re raising the bar when it comes to immersion by letting you feel the impact of battle. 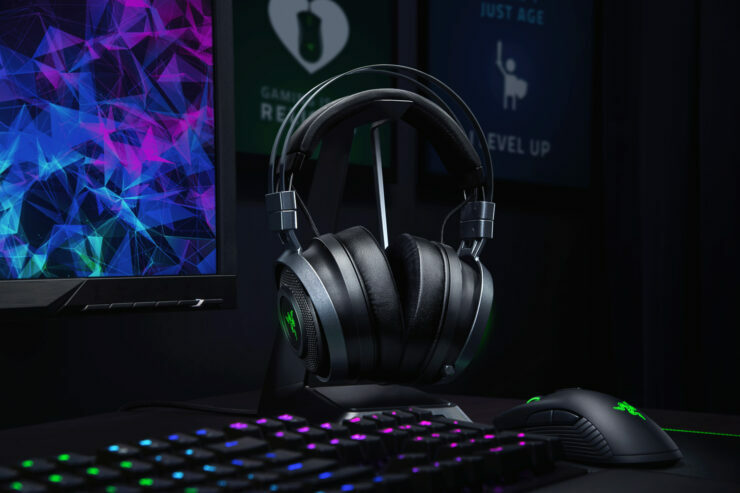 The Razer Nari Ultimate is powered by Razer HyperSense – featuring haptic technology that creates touch-sensory feedback for lifelike sensations based on audio cues from the game. Now you can sense planes roaring overhead or recoil from the bursts of gunfire, creating a whole new layer of immersion for the ultimate gaming experience. THX Spatial Audio goes beyond traditional surround sound by simulating sound in a 360° sphere around you. With the Razer Nari Ultimate, you can now react to any in-game movement, even if it’s coming from above or beneath you, giving you heightened senses during your game. Unleash your predatory instincts with sound as a weapon. The Razer Nari Ultimate is designed so that its immersive technology is complemented by comfortable features, letting you escape into game worlds for hours without strain.